What’s New in ASP.NET Core 2.2.4? With the introduction of .NET Core, you can now create ASP.NET applications and deploy them to Windows, Linux, and macOS. Microsoft and the community have put a huge effort into making Linux a first-class citizen for running ASP.NET. Some say that performance is a critical feature of your software. I tend to agree! With the introduction of ASP.NET Core and the Kestrel web server, ASP.NET is touted as one of the fastest web application frameworks available. TechEmpower has some cool benchmarks you can check out. The technology that powered the ASP.NET integrated pipeline and IIS was roughly 15 years old. It did everything and carried a lot of baggage with it. The new Kestrel web server was redesigned from the ground up to take advantage of asynchronous programming models, be much more lightweight, and fast! ASP.NET has excellent support for utilizing asynchronous programming patterns. Async is now implemented in all common .NET Framework classes and most third-party libraries. Most modern applications spend most of their time and CPU cycles waiting for database queries, web service calls, and other I/O operations to complete. One of the reasons ASP.NET Core is faster is its extensive use of asynchronous patterns within the new MVC and Kestrel frameworks. Before ASP.NET Core, developers were most commonly using the MVC and Web API frameworks. MVC was tailored to creating web applications that served up HTML. Web API was designed to create RESTful services using JSON or XML. With ASP.NET Core, MVC and Web API have been merged together. There was always a lot of overlap with the two frameworks. MVC could always return JSON data instead of HTML. Combining them was a good move and simplifies development. With ASP.NET Core we also have the new Razor Pages. They extend the MVC framework to allow encapsulating the controller and model aspects of a page together with two-way binding. They are sort of a replacement for WebForms while using the familiar Razor syntax. One of my favorite features is the new environment feature. It allows you to easily differentiate parts of your code for their behavior in development, staging, production, etc. There was no standard way to do this before ASP.NET Core. For example, it is used within your Startup.cs file to help configure your application. In this case, whether or not we want to show a more detailed exception page for development only. One of the great new features of ASP.NET Core is built in dependency injection. It is heavily used within ASP.NET MVC itself. It is the preferred way that things like logging contexts, database contexts, and other things are passed into your MVC controllers. We use SignalR very heavily at Stackify. For example, when viewing the current monitoring data about one of your servers, every time we receive new data, we immediately push it to your browser so you can see it update in real time. These types of scenarios are perfect for WebSockets and SignalR makes it easy to do. Sometimes you need to make a web application that will be deployed on to a desktop and not a server running IIS. Our free ASP.NET profiler, Prefix, is a perfect example of this. Its front end is all HTML that is loaded from an ASP.NET application running as a Windows Service. You can create a self-hosted ASP.NET web application several different ways. In .NET 4.5 you could accomplish it by using Owin, Nancy, or WCF. For Prefix, we use ASP.NET Web API with Owin. With ASP.NET Core, you can also use the standard Kestrel web server. One of the great advantages of .NET Core is that your web application is essentially a console application. IIS just sits in front of it as a reverse proxy. This means that you can also deploy your app only with kestrel for non-server based use cases, like Prefix. One of the great features of ASP.NET is the support for extensible filters. This allows you to implement functionality that can be applied to an entire controller or action without modifying the action itself. 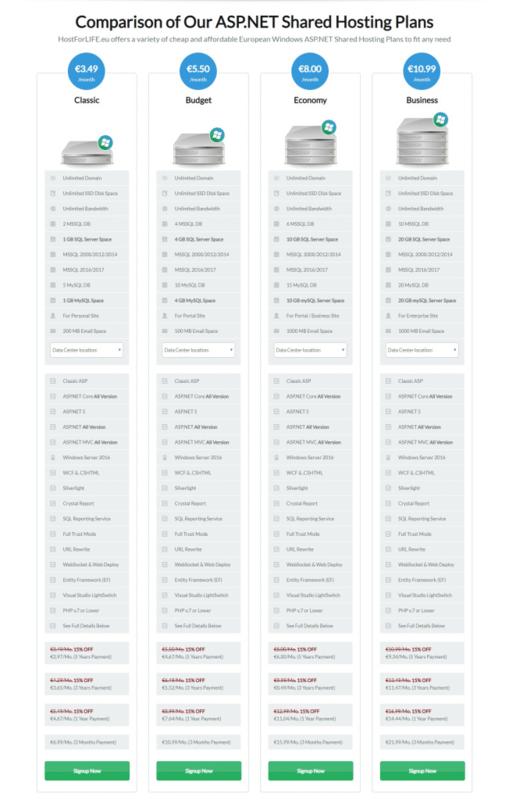 Filters are used to specify caching, error handling, authorization, or any custom logic you would like to implement. This feature allows ASP.NET to cache the output generated by a page and serve this cached content for future requests. It stores the data that is not updated frequently and outputs that specific data from a cached location. ASP.NET makes it easy to specify how long any request should be cached via common HTTP headers. It also has support for caching output within the memory on your web server itself. You can even use Redis or other providers to handle your output caching. ASP.NET makes it easy to localize dates, numbers, and the text within your web application. If you want your application to be used across the globe, localization will be very important to you. If you are creating API applications, you want to make sure you are using Swagger. It makes it easy to document and test your APIs. ASP.NET has historically provided built-in functionality that is pretty similar for SOAP web services created with WCF. If you are using Web API or MVC for RESTful APIs, you definitely want to use Swagger. How to Choose ASP.NET Core 2.2.4 Hosting Provider? 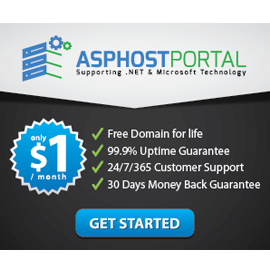 To put it plainly, HostForLIFE.eu is Microsoft-perceived ASP.NET Core 2.2.4 hosting and Windows Server 2016 pioneer, which could convey the best understanding to all ASP.NET designers and entrepreneurs. What’s more, we unequivocally prescribe HostForLIFE.eu hosting administration.